The Two Brothers Black Series Exhaust has become a staple among TBR customers seeking to unlock the vast potential of their motorcycles. What makes the Black Series so unique? True to its name, the Black Series Exhaust is constructed with black Teflon coated cast magnesium end cap, black billet aluminum inlet and outlet and black canister reinforcement bands. Like all other TBR M series exhausts, the Black Series features innovative V.A.L.E. system and X-Lite retaining ring which assures a perfect, leak-free connection between the muffler and midpipe. With such stealthy and seamless design, the streets won’t know what hit them. All exhaust pipes of the Black Series Exhaust Systems start life as .035" thin wall #304 stainless steel tubing. #304 stainless steel, a lightweight austenitic chromium-nickel stainless steel which has low thermal conductivity properties and is corrosion resistant, even in the harshest environments. 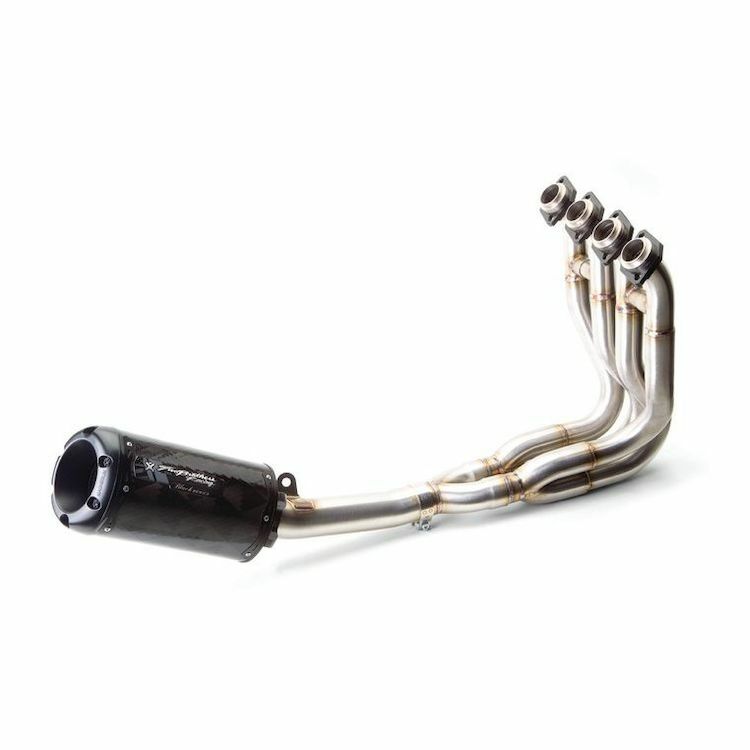 TBR then took this versatile alloy and infused it with their stepped exhaust technology. The stepped header system forces the exhaust gases to travel through incrementally larger diameter exhaust pipes on its way to the muffler. This design creates a vacuum effect that forces hot exhaust gases out, allowing your engine breath better while simultaneously increasing horsepower, torque and throttle response. Every little detail of the Two Brothers Black Series Exhaust System has has been considered, allowing you to reap the benefits of TBR performance and sound.